Working at home as a writer is one of the largest work at home categories. Being a freelance writer has traditionally been a work at home job, and now that working at home is becoming more popular, there have been more writers in the industry. If you like to write and have a good grasp of the English language, you will never be at a loss for the work at home writing jobs. Starting your career as a work at home writer is as easy as doing some Internet research and applying for a job. There are many ways to break into the writing field, even if you have no previous experience. Online opportunities abound, and there are still many writers who stay exclusively in the print market. While many writers dream of one day writing the great American novel, most writers are realistic in knowing that they are going to have to do some other types of writing to get paid on a consistent basis. Writing for pay is mostly, if not exclusively, done in the non-fiction genre. While occasionally you will find contests for fiction writing or for poetry, these opportunities are few and far between when compared to the non-fiction opportunities. Writing from home as a freelancer requires that you have a reliable Internet connection, good written communication skills and the ability to be a self-starter. As a writer, you will be in charge of your time and your projects. There will always be deadlines to meet and new writing opportunities to try. You will be responsible for balancing your writing with the rest of your life. You must also have the ability to research a wide variety of topics. As you accept assignments, you’ll be challenged to learn about and write about topics that you may have little experience in. Freelance writing from home can break down into three specific areas: writing for print, writing for the web and blogging. Although blogging is technically writing for the web, there are many distinctions that make it different from other web writing opportunities. Writing for print is what people generally think of when they hear the term “freelance writer.” Freelancer writers who write for the print markets need to first build a reputation as reliable and eloquent writer. If you’ve never written for the print markets before, start with smaller, local publications and then work from there. You’ll need to find a list of publications that are accepting “queries.” Queries are a combination of a letter of introduction and a pitch for a story idea. Most writers rely on the Writer’s Market reference guide for lists of publications. The Writer’s Market has comprehensive information on a variety of newsletters, magazines and other publications that are taking queries. Start with topics that you know the most about and try writing a few queries to get yourself going in the print market. The only drawback to writing for print is that the period between when you write and when you get paid can be months long. For many freelancers, this is just not feasible. Writing for the web, however, can meet their income needs and still allow them to write from home. There are many categories of writing for the web. You can be a ghostwriter for e-books or other Internet media. Many people need copywriters to provide content for their sales letters and websites. You can also offer your services to webmasters who need fresh content for their blog or newsletter. The opportunities are endless. Blogging is yet another way to make money as a writing freelancer. Blogs are an ever-growing form of Internet media. Blog writers generally provide their own content. You can make money as a freelancer by starting your own blog and posting to it daily. 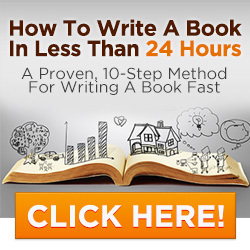 If you love to write, you can start several blogs at once and multiply your earnings. Once you become an experienced blogger, you can apply for blogging jobs and post for other people. Learn the skills of the professionals to get paid top dollar as a newbie, discover how by clicking here. Has this been helpful? Leave a comment telling me what category of writing best suits you. Learn the quickest way to get started freelance writing, subscribe over to your top right! What are the Start-up Costs for the Freelance Writer? I wanted to compose a note to be able to appreciate you for all of the great secrets you are showing on this site. My rather long internet lookup has at the end been rewarded with good quality facts and techniques to go over with my classmates and friends. I ‘d say that many of us visitors actually are rather blessed to exist in a superb site with very many brilliant professionals with interesting techniques. I feel pretty fortunate to have come across the web pages and look forward to plenty of more awesome minutes reading here. Thank you once again for everything. Thank you for all of your hard work on this web site. Kate really loves doing investigation and it’s easy to see why. We hear all concerning the powerful ways you render rewarding guidance through the website and even welcome response from some others on the theme plus my princess is without question starting to learn a great deal. Have fun with the remaining portion of the year. You are always doing a dazzling job.